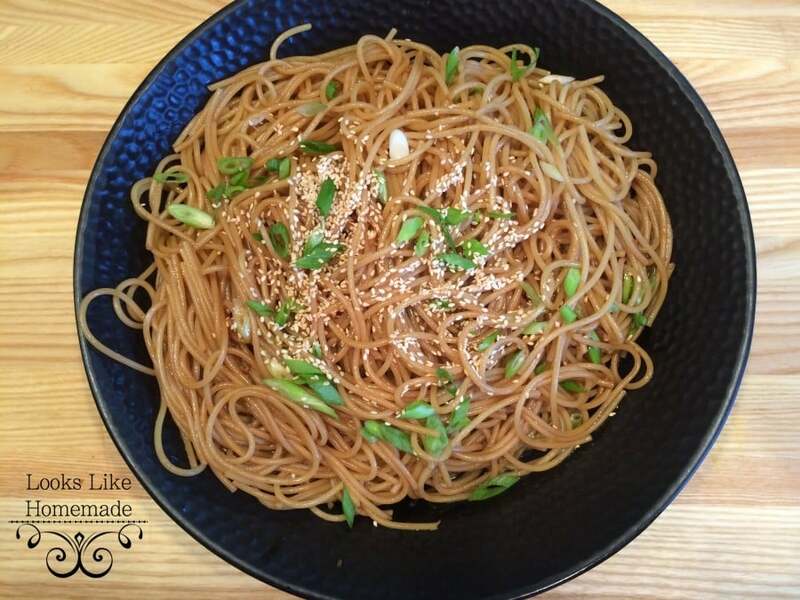 I have been wanting to try sesame noodles on meatless Monday for awhile. This week seemed like as good a Monday as any so I put it on the menu. I’m glad I planned ahead because my Sesame Oil was rancid and I had to pick up some new. Tip: Oils and spices do have a shelf life, test yours often. Hubby liked these, and he is not a soy sauce fan, so that’s as good of an endorsement as I can get around here. I adapted this from a Pioneer Woman recipe – hers was WAYYYY too oily – makes me think there’s a typo somewhere – I actually used a spoon and skimmed out about 4 Tablespoons of oily stuff off the top of the sauce…then I added and adjusted to get just the right flavor. Fast, tasty, meat-free - even Vegan! 1 lb spaghetti thin spaghetti, linguine, fettuccine, or udon if you have it. When pasta is done, drain and put back in hot pot - then dump in the sauce and mix well. 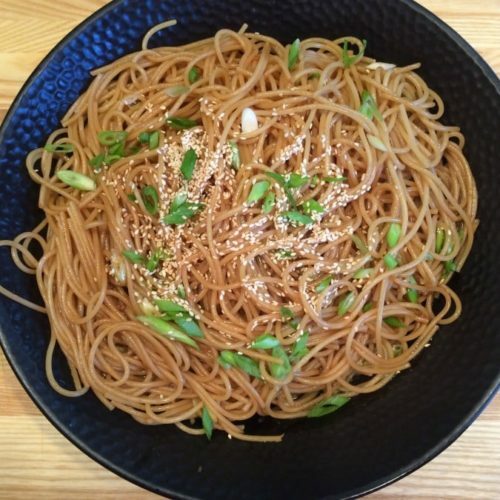 Mix in about 3/4 of the chopped onions and mix well - place in your serving bowl and top with remaining green onions and the toasted sesame seeds.